You are here: Home / Articles / There’s an App for That! Ever hear the phrase “There’s an app for that”? Pet lovers everywhere are rejoicing because there’s literally an app for almost everything to do with pets. Photo taking, travel assistance, first aid, tracking devices, subscription boxes, pet-friendly hotels and so much more can be accessed right from an app on your phone! How convenient is that? 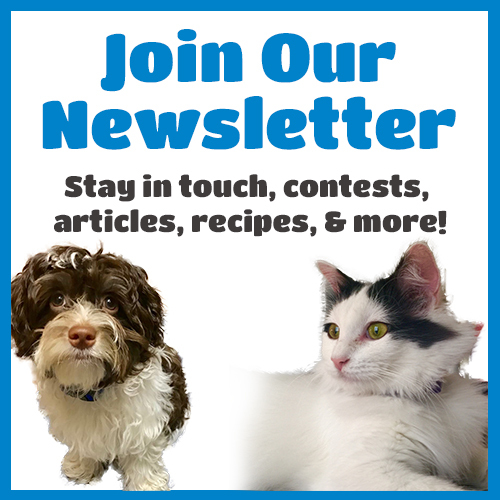 We’ve worked to compile a list of some of our favorite apps for pet lovers just for you! Want to bring your dog (or cat) with you, anywhere and everywhere? There’s an app for that! BringFido is a great app that allows you to search for the best pet-friendly places to bring your pets with you. Pet-friendly parks, restaurants, hotels, beaches, retail establishments and more can be reached within a few seconds via this great app. This app is so convenient for pet lovers who want to hop in the car and see where the day takes them, with their pet in tow – course. Looking to spice up your life? Why not try DoggyDatez. This social network app allows dog lovers to make new friends for themselves and their dogs while walking their dog. Simply create a profile for yourself and your dog and also tag your location if you’re comfortable with it. Make friends and plan doggy dates right from your phone. Are you having a little trouble training your dog? Try the app that brings clicker training right to your very own pocket. Convenient step by step training via clicker tutorials, YouTube videos, and even built-in (commonly associated with fear) sounds make training easier than ever. Do you know what to do in an emergency relating to your pet? Allow this app from the American Red Cross to help you! Stay on top of emergencies with the built-in step by step advice on how to assist your pet in the event of an emergency, injury, trauma and more. Arming yourself with knowledge can mean the difference between life and death for your pet. This app has many other features, including the ability to look up signs and symptoms of many illnesses thereby putting you in a position of responsibility when it comes to preventative care and maintaining your pet’s good health. Have you ever wondered what foods are safe for your dog to eat? If you’re ever tempted to give your dog table scraps or if your pet tends to get his paws on the food he wasn’t exactly invited to eat then iKibble is for you! The app allows you to browse by an alphabetical list of food or search by categories. We suggest looking at the toxic category first! Are you afraid of your dog or cat getting out of your house or yard or slipping off of the leash? As pet lovers, we all worry about that. One way to lessen the worry is to purchase the “Tagg GPS tracker”. The Tagg GPS tracker attaches to your pet’s collar and communicates with the Tagg app allowing you to literally keep tabs on your pet’s location. If your pet gets out of bounds, your app will notify you right away where he is! In addition to narrowing down your pet’s location within seconds, the app also gives you directions on how to get to him. In addition to ID tags and microchipping, we suggest a GPS tracking app like this one. Have you ever wondered exactly how much money you are spending on your dog? Whether you are trying to stay on a budget or you’re simply just curious how much you spend on your dog, this is a fun app. Analyze your spending habits with charts such as food, toys, treats, vet, medicine, supplements, insurance, grooming, supplies and more. Spending on My Dog also allows you to export your data into other software programs if you’re working your overall budget or intend to anytime in the future. Are you having trouble getting a great photo of your pet? If you’re like the rest of us pet lovers, getting a great photo can be tough. PetSnap is equipped with 32 unique sounds to help grab your pet’s attention while you finally get to snap the perfect photo. It also comes with some cool tools to dress up that perfect photo! 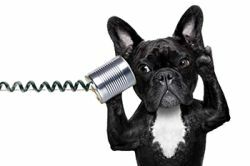 Now more than ever, many industries such as the tech industry are catering to pet lovers. Apps for pet lovers will continue to multiply over time to meet the needs and desires people like us! 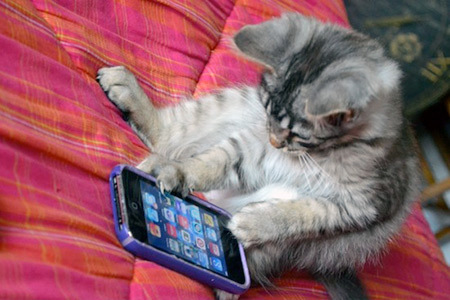 What’s your favorite app for pet lovers? We’d love to hear about it and add it to list!